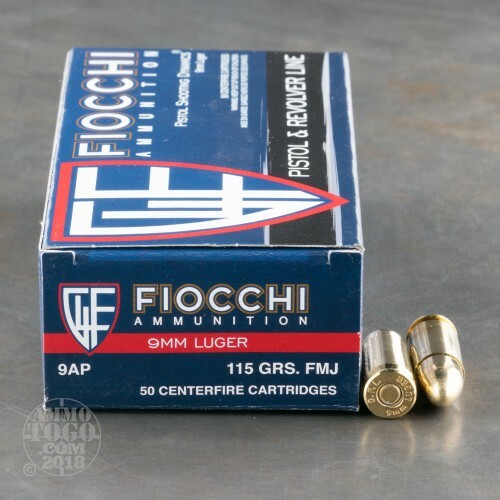 This is Fiocchi 9mm 115gr. Full Metal Jacket Ammo. 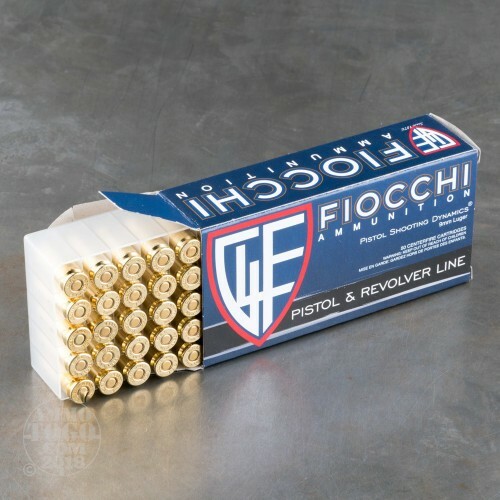 This ammo is manufactured by Fiocchi , and is excellent quality ammo. It is clean and accurate. This ammo is brass cased, boxer primed, non-corrosive and 100% new factory fresh. This is excellent target ammo for the price. This ammo comes packed 50rd. boxes, 20 boxes per case. 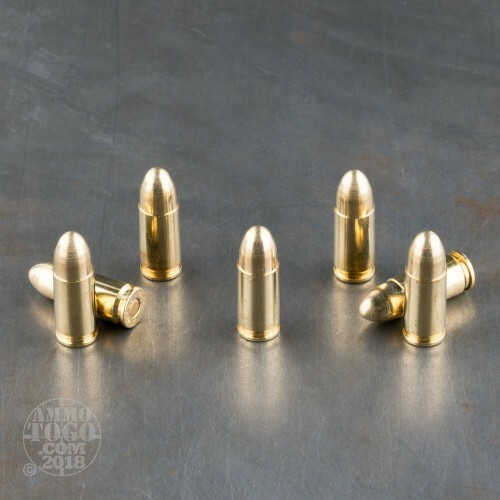 I have used this ammo several times in past years and unless they have gotten better I am surprised by the great reviews. I didnt have a real issue outdoors but in the indoor ranges this round smoked alot and my weapon was very dirty after shooting. Not a bad inexpensive round but not a great one. I have run 1500 rounds though my Glock 17 without an issue. I have not even cleaned the gun yet because it runs so clean! I have also run 400 rounds of 308 through my AR-10 without issue. Great ammo, especially for what it costs. I have used in my Glock, Taurus and Sig. No issues with the ammo. Runs well in all weapons. Note I did need to clean/polish the ramp in the Sig so the ammo would feed all the time. Not an ammo issue, a weapon issue. I agree with a previous comment that the ammo runs a little dirty but not excessively. Works perfect - I mean perfect in a Glock. If you have a problem with this ammo, get a Glock...will go 'bang' every time. This is fantastic ammunition for a Glock 19. I have run over 1000 rounds of this stuff and haven't had one single issue. It's clean, accurate, and fairly inexpensive. I will continue to buy this in bulk as long as they'll keep making it! SUPER SERVICE....Ordered Monday AM received shipment Wed PM Great price and service as always...OH! also ammo is good. Have shot this before and seemed to work great. Saw this 1,000 rounds at a great price. Ordered and shipping was fast. posted on 11/27/15 by Steve S.
Shoots well, no issues through first case. Dirty powder, however, makes cleanup in my 929 and Colt Defender much more time consuming. I have run through multiple cases of 9mm Fiocchi, and I continue to be impressed with it's quality, reliability, and cleanliness. I use Fiocchi in my more temperamental pistols as it seems to be more forgiving. If it doesn't work with this ammo - you have a problem with your equipment. great ammo for target practice. no problems whatsoever. i have shot over 800 rounds through a Springfield XD-9 sub compact. will order more. 3rd time to buy case of this ammo. Not the first problem in any of my Sig pistols. Recommend to anyone with cost and quality in mind. I shoot this ammo in competition shooting with my Glock 34. Great ammo, accurate, consistent and utterly reliable. Just like the company I order it from! Ammo To Go is my choice for great price and service. Best place to get and the cheapest around! Excellent customer service and very quick on the delivery!! Telling everyone about this site!! Excellent service and price. First time shooting Fiocchi. Great accuracy and consistency. Powder residue a bit dirty making cleaning my SW 929 more difficult. Ran 100 rounds through the revolver without incident. It's good target shooting ammo. If your having problems with it try a glock. It's your pistol not the ammo. Great Ammo. What else can I say. This is the best place to get it from. I have put 400 rounds of this stuff through my Taurus 92 and have found that it isn't totally reliable. I have gotten 6 stovepipes and 2 bad primers out of the 400 I shot. I also seemed to have problems with it wanting to feed correctly. The casing kept getting caught on the feed ramp which other rounds haven't done. Its great range ammo, especially to train malfunctions with but not the best that's for sure. Great ammo for the price. Ran about 500 rounds through my glock 19 without a hiccup. High quality stuff. Plan on buying another 1000 rounds. 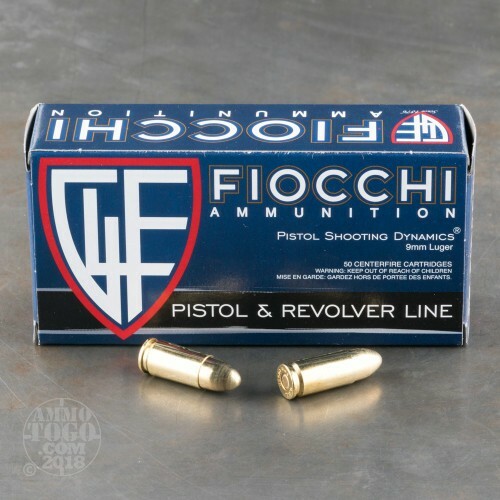 I have used Fiocchi in a few calibers and loads and they make an excellent product. Reloadable and higher power than most standard ammo. Why buy dirty polymer coated stuff when this is just a little more money. They make a 147gr 9mm that is great for the short barrel autos and their 223 cal is the best I've seen.